SO…. This post will require an immense (none) amount of attention and time to grasp. Prettttty much everything that tastes good has sugar in it, yes? Yes. The answer is yes. 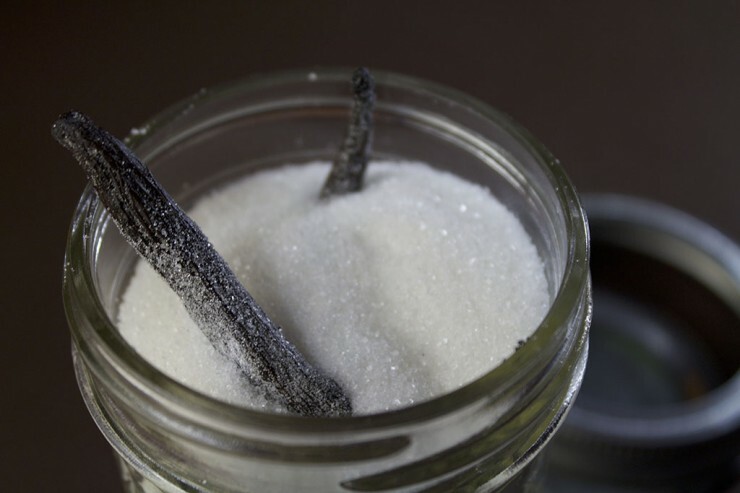 When you bake, try substituting some or all of your sugar for vanilla sugar. “Where on earth would I get that???”.. You -make- it, of course! You start by obtaining a Vanilla planifolia plant to harvest and cure… OK. So we won’t go that far. Yet. Pull out a single vanilla bean from your pantry. I knooow you keep real vanilla beans in there in front of the fake, alcohol-based vanilla ‘extract’, right?? Now, get a jar or some container. Fill it with granulated white sugar. 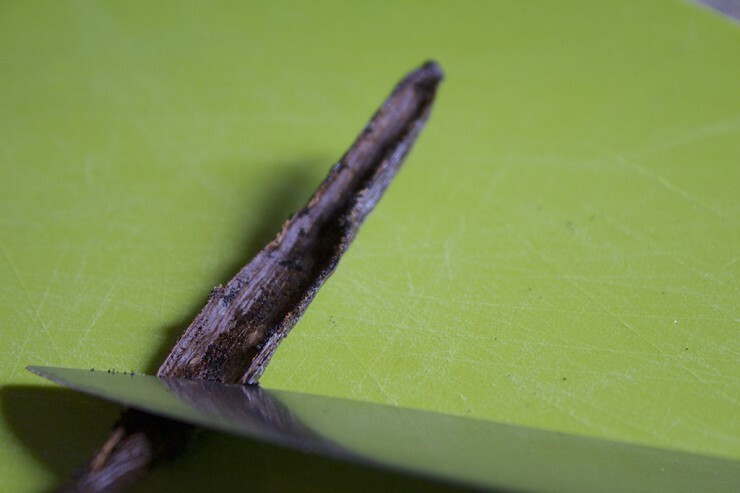 I generally cut my vanilla bean pods in half, as this tends to result in a stronger vanilla flavor in the sugar. This would be done with the emptied pod, because I certainly am sure you have used the inside for an amazingly delicious confection, right? Right. Place the gutted pod pieces into the jar of sugar. Seal it up and let it rest for several days. I just keep a jar with the pods and sugar in it until it is all used up. I’ve even been able to refill it one time with sugar and get two batches from the pods! This may very well be the shortest recipe on the entire blog…. BUT, possibly the best 10 second read to push your baking into juuust where it needs to go to become that much more amazing! PS- This also works AMAZINGLY well with fruits. Zest a lemon, lime, orange… anything citrus works well! You can even add a couple drops of food coloring and shake it up if you want something festive to decorate with! Place sugar in a jar or container. Place used vanilla bean pod in the sugar and seal shut. Allow to rest for several days. You can use many other things to flavor sugar as well. Any citrus zest works well! Also, consider adding a couple of drops of food coloring if using the sugar to decorate your confections! Visit us at SouthernFATTY and let us know what you tried! What other flavored sugars have you tried? Leave a comment and let us know! How long will the vanilla sugar keep, do you know? Assuming it’s stored in the pantry? It should last just as long as any sugar would in your climate. I’ve stored mine in a sealed container for well over a month or two without any issues. Moisture would probably be the only issue, just as it would be for regular sugar.